If there is a country in the Mediterranean that understands the illegal killing of birds and believes that we need to take this problem seriously and work hard on all fronts, is Malta. A small archipelago of islands which is one of the most densely populated islands in Europe. 33% of its land is built up making it the highest in the European Union. To make things worse, the small spaces of natural beauty are taken up by 10,000 hunters and 4,000 trappers. Malta is the only country in the EU allowing spring hunting and this is done on Common Quail since the Turtle Dove has now been declared a threatened species. This apart from five months from September to January that allows hunters to kill over 40 species of birds. The problem is that other protected species are also targeted from Flamingos to Honey Buzzards, Bee-eaters, Hoopoes and Herons to mention a few. Malta is also alone in the EU when it comes to allowing trapping of seven finch species, along with Song Thrush and Golden Plover. BirdLife Malta has been working hard to raise awareness, lobby and advocate through research, conservation efforts and educational programs. The Maltese Falcons hail from this organization. The name, for some another name for the Peregrine Falcon, represents a shimmer of hope for this species which has returned only recently as a breeding bird on the archipelago after an absence of 30 years. This team has experience and energy with the ages of the members varying from the late fifties to the early twenties. It comprises of five bird enthusiasts and nature lovers at heart. Two of the team are council members of BirdLife Malta while one is also the CEO of the same organization. Joining them are two avid birdwatchers who although rather young have travelled a lot seeking the thrills of observing new species. It is an exciting journey to Israel and apart from enjoying themselves they are glad they will be helping out with the problem of illegal killing of birds and although it’s the first time a team from Malta is participating in the race, they will work hard to rank Malta as high as possible in the Champions of the Flyway. Nick (23) was lucky enough to be born into birding, owing his passion for nature conservation, birding and travelling to his father. Being an active volunteering member of Birdlife Malta for as long as he can remember, bird and nature conservation is at his heart. He is passionately involved in the organization of various campaigns targeting different aspects of the ongoing struggle birds and their habitats have on the tiny Maltese Archipelago and he also sits on the society’s council for the past 3 years. In his professional life, Nick has graduated in IT 2 years ago and is now working as a Solutions Architect in the local government’s IT agency. His dream is to be able to have a career which combines his passion for nature and for IT by developing IT solutions that make the life of birders easier. Unfortunately though, since the travel bug bit him long before he graduated, he spends most of his free time (and money!) planning and enjoying birding trips rather than coding. For the last 4 years Nick has also been a licensed ringer, becoming addicted to the thrill that ringing birds on an island in the middle of the Mediterranean can give. Landing in Israel on his 24th Birthday, Nick is looking forward to a memorable trip and an exciting bird race. He is very happy to be able to share this experience with his dad and 3 other great friends. He’s certain that this race will be an opportunity to enrich his bird knowledge and to make some new birding friends. Ray (55) started birding more than 40 years ago and has also being very active within Birdlife Malta, the society for the Study and Protection of Birds in the Maltese Islands throughout these years. He has served on the Council and on other committees of this organization since the late seventies; organizing and having an active role in many bird protection campaigns over these years. Ray has also been a bird ringer since 1978 and still rings when time permits. Currently he is the chairman of the Malta Rarities and Records Committee. Apart from studying and watching birds in Malta, Ray has birded in many other countries, including South and Central America, Tropical Africa and Asia. He has traveled extensively in various countries in the Western Palearctic, always pursuing birds and other wildlife. Bird and Nature photography is also one of his passions. Along the years he published several notes and short papers on the Ornithology of Malta. Also to his credit are the discovery of new breeding birds for the Maltese Islands, including Little Grebe, Little Bittern, Collared Dove, Tawny Pipit and Blackcap amongst others. In 2016, together with Nick and Daniel, Ray confirmed the breeding of a pair of Short-eared Owls after more than 100 years from their last successful breeding record, on the island of Comino. A birding trip to Israel has been on his mind for a long time and he has followed all editions of the Champions of the Flyway bird race and is now very eager to actively participate in the 2018. Mark has been a bird enthusiast since a very young age being an active youth member of the Malta Ornithological Society which eventually became the BirdLife Malta. Living in a highly populated small country, with a culture that showed very little respect to nature, Mark participated in various nation-wide campaigns and protests to bring a positive change in both legislation and long-term culture change. He remained active for a number of years but his biggest input was when he acted as a main spokesperson during the Spring Hunting referendum held in 2015. With a background in finance Mark started his employment career in the banking sector. He then progressed further on insurance, running his own insurance sub agency after studying Financial Planning. Following studies in management Mark started working in a charitable institution as an Administrator. In a term of thirteen years he progressed up to becoming the Chief Financial Officer. Since November 2016 Mark has taken the role of Chief Executive Officer of BirdLife Malta. This role takes most of Mark’s time as he manages various teams which work on education, conservation, research and communication while making sure that the organisation works efficiently and effectively and with good governance. Needless to say, Mark puts a lot of effort in lobbying and advocacy work with main Government Ministers and officials to get more environmental conscious decision making. 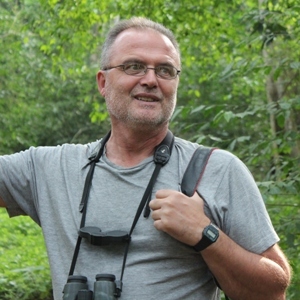 In his free time Mark tries to connect with nature through trekking, photography and birdwatching. When possible, he travels to places which have rich nature and diverse cultures. His latest trips include Thailand, Laos and Peru. Heading to Israel was always in his bucket list and having the possibility of participating in the Champions of the Flyway is a big cherry on the cake. 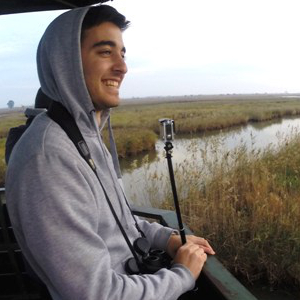 Adin is a twenty-five-year-old avid birdwatcher with an ardour for wildlife conservation. As from a very young age, his love for nature, with a special interest in birds, flourished and from there, it only grew fonder. 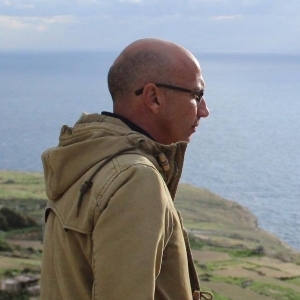 He aspired to become a licensed bird ringer, choosing Mgarr ix-Xini (South of Gozo, Malta) as his main ringing spot, while still managing his time and energy invested in his career, that of a police constable, along with other personal commitments. Adin did not station his birding solely to Malta; visiting Namibia, Tanzania, Botswana, Morocco, Costa Rica, South East Asia and several other European countries along the years did nothing but enrich his knowledge about the immensely diverse species of birds and other wildlife. 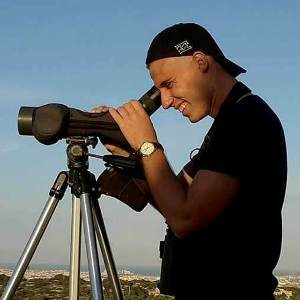 For this young Gozitan, birding has become a lifestyle occupying him with new experiences and adventures. Being keen on photography, these adventures also give him the opportunity to capture several images. Born with a passion for animals later came to full fruition in his interest in feathered ones. Started off on a more serious note a couple of years ago with Birdlife Malta’s youth group birdwatching, Daniel is now active in conservation efforts, habitat amelioration and bird studies in the Maltese Islands. Experience with ringers and as a trainee ringer has added to his interest and experience in birds. Nowadays working in IT and gaming but always hungry for a taste of birding adventure – especially this upcoming Champions Of the Flyway race complementing a spring trip to Israel!